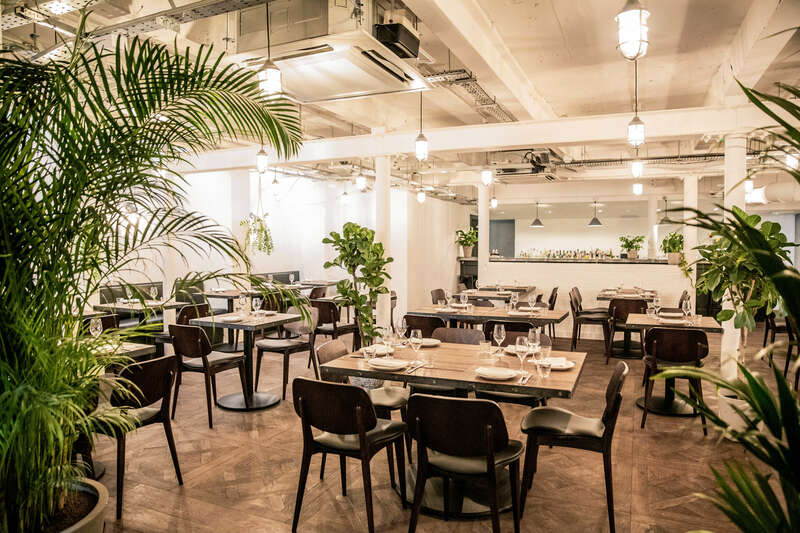 The award-winning duo behind Sager + Wilde have opened Fare Bar + Canteen, a new all-day-dining bar and restaurant in Clerkenwell. Opened in November 2018, Fare Bar + Canteen is a new all-day-dining bar and restaurant launched by the award-winning duo behind Sager + Wilde, Michael Sager and Marcis Dzelzainis. The new bar and canteen has been split over two floors, and is located on Old Street in London’s Clerkenwell. Interestingly, it has found a home within the Morelands building, which is a recently renovated group of creative mid-century warehouses. Created as a multifunctional space, Fare has been designed to offer a range of food and drink options. Upstairs features a grab-and-go coffee area and a laid-back bar, which offers a range of ‘cocktails on tap’. Meanwhile, the restaurant – and a more intimate cocktail bar – is set in the cosy underground area downstairs. Both spaces are contemporary, with an industrial aesthetic that includes white walls, dark accents, and a bright, clean finish. The ground floor coffee bar and canteen is flooded with light in the day through the floor-to-ceiling Crittal windows. Fare is open for breakfast in the morning all the way through to drinks and dining in the evening, so it makes sense that the design has a range of seating options for guests; in the canteen, diners can choose to sit at the rustic wooden tables, or around the horseshoe marble dining counter. 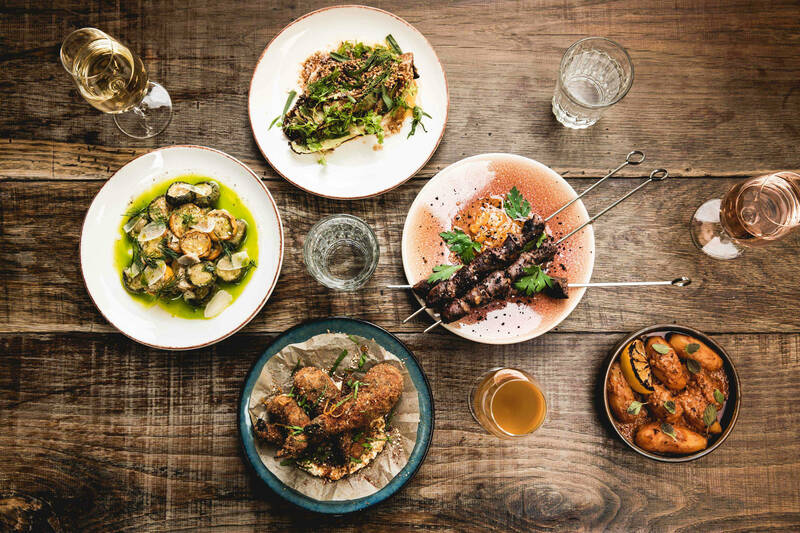 Warmly lit by the reclaimed Holophane lights in the evening, the wrap-around marble bar overlooks an open-plan kitchen where small plates and bar snacks are made – including dishes cooked in the large Cuppone Oven. 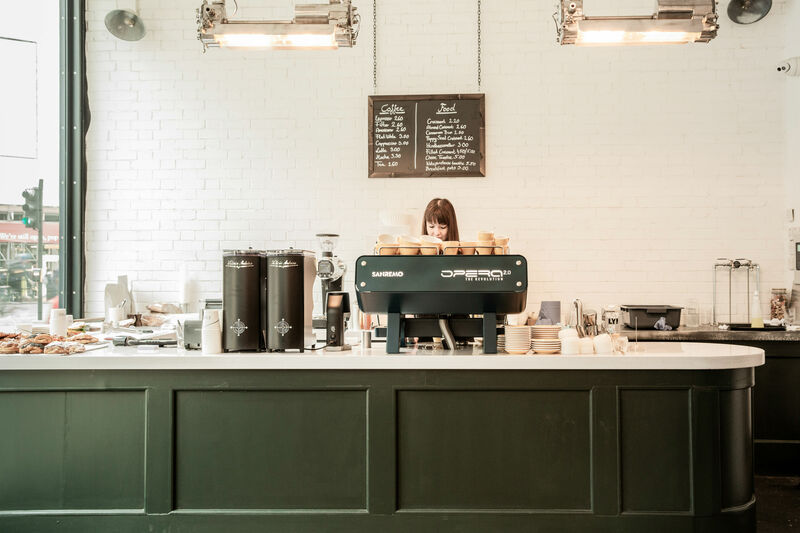 Those choosing coffee aren’t left out, either; all of Fare’s brews are served from an innovative, state of the art, custom Sanremo machine that sits behind the clean, sophisticated coffee bar. Downstairs, the underground restaurant receives an abundance of light from a large glass skylight in the middle of the space. Coupled with the restaurant’s wooden parquet floor and its modest white walls and columns, the downstairs restaurant continues to be bright and clean. After dark, the atmosphere changes; Fare is lit by warm candles and dangling ceiling lights which work perfectly with the restaurant’s industrial design. On entering the restaurant, the large glass windows that peek through to Fare’s extensive wine cellar are sure to catch any diner’s eye. The restaurant’s low ceilings create a snug feeling, while the former-warehouse’s large surface area allows for plenty of space between tables, preventing diners from feeling cramped. This open, clean atmosphere continues into the bathrooms, which feature white-tiled walls, deep sinks and more low lighting. 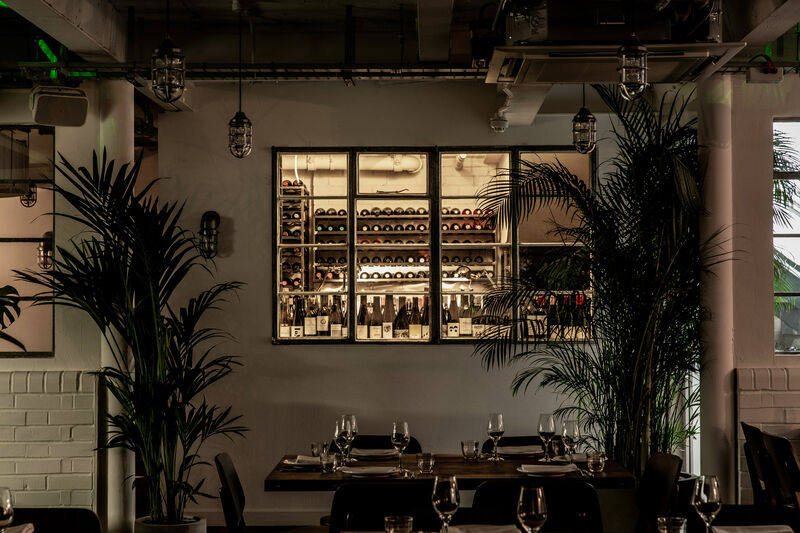 Carefully curated by the Sager + Wilde team, Fare’s 250-strong wine list has been sourced directly from boutique winemakers worldwide. Leading the kitchen is head chef Thomas Raymond, who has created a menu that takes inspiration from Britain and the Mediterranean; it also focuses around the grill in the main kitchen, which guests can see through a glassless window downstairs.